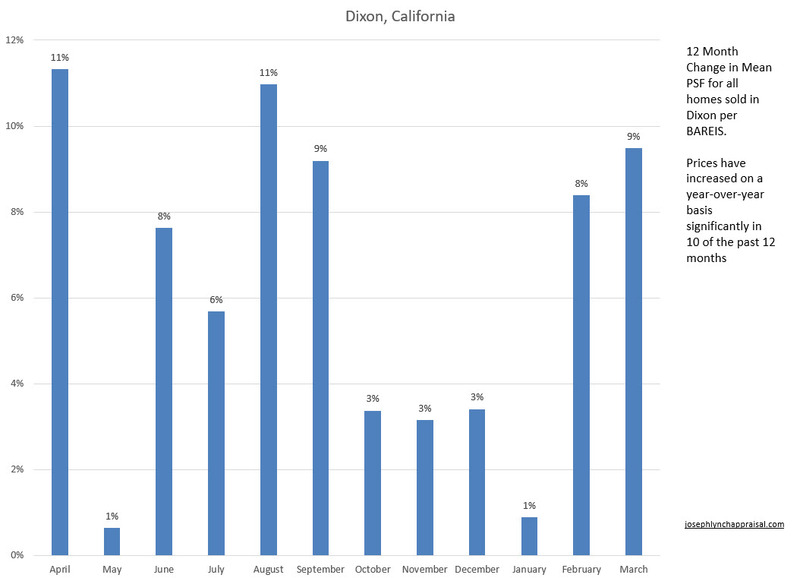 With a little more data to work with, looks like Dixon is increasing. With about two weeks of inventory at present, expect more increases in the short term. 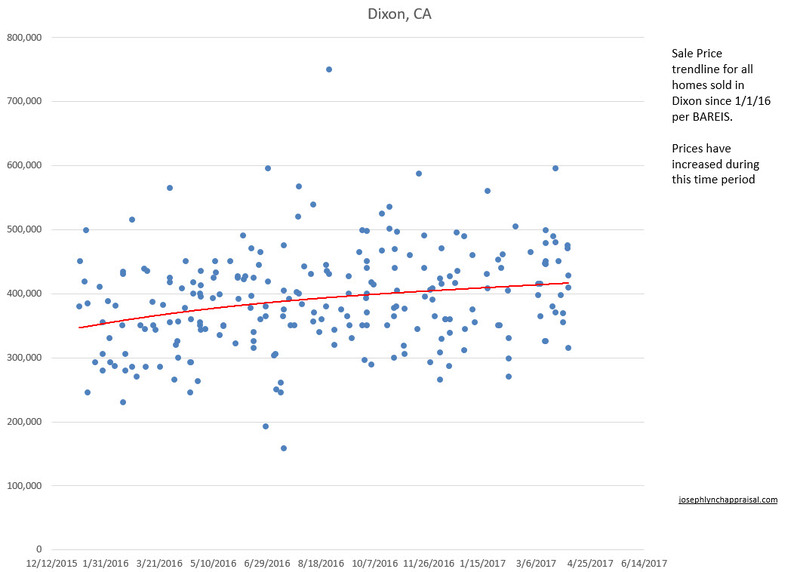 This entry was posted in Appraisal, Dixon, Solano County, Stats and Graphs on April 8, 2017 by josephlynchadmin.